The Eno Center for Transportation > Articles > Week of April 10, 2017 > Cities Now Exploring Autonomous Buses – But Is It Worth It? Cities Now Exploring Autonomous Buses – But Is It Worth It? Add Arlington, Texas to your mental list of cities conducting local tests of driverless shuttles. 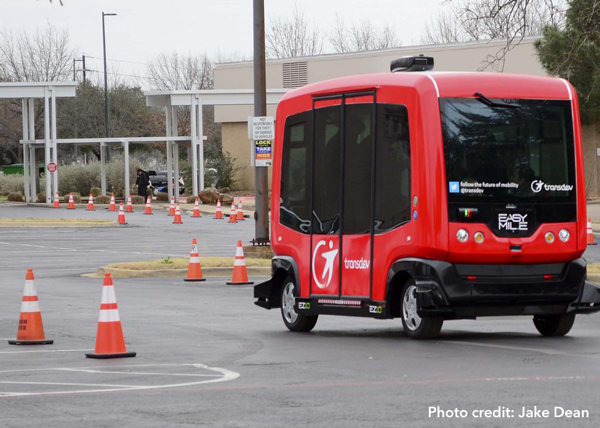 On March 28, the City Council of Arlington, Texas approved a six-month lease of two EZ10 driverless shuttles from the French startup EasyMile, with a six-month option to renew. The vehicles, which can transport up to a dozen people at a time, will operate on a fixed course between parking lots and venues in Arlington’s entertainment district. Arlington joins Contra Costa County in California as the second community conducting official tests of EasyMile’s driverless shuttles. A similar project is being undertaken in Boston, Massachusetts with Nutonomy – the same company that launched the world’s first autonomous vehicles for hire in Singapore last year. However, the three models diverge both in their financing and the policies enabling their implementation. The Boston pilot was authorized through executive actions issued by Mayor Martin Walsh and Governor Charlie Baker (son of former USDOT Assistant Secretary Charles Baker). Initial testing began earlier this year in Raymond Flynn Marine Park after Massachusetts Department of Transportation and Nutonomy signed a memorandum of understanding (MOU). Future phases of testing the vehicles, which are solely owned and operated by Nutonomy, are planned to take place on intersecting and surrounding public roads. 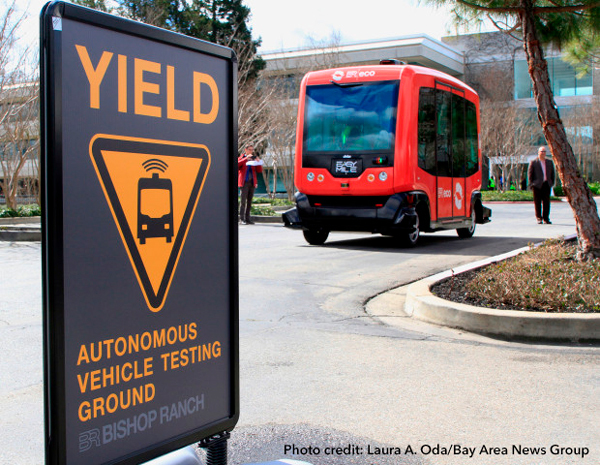 Under a California law passed last year, the Contra Costa Transportation Authority (CCTA) is allowed to oversee the deployment of autonomous shuttles on public and private roads through public-private partnerships. Half of the two-year, $5 million pilot program is funded by private investments, with CCTA seeking the remaining funds from federal and local grants. CCTA has taken a multifaceted approach to implementation – both for financial and policy reasons – that requires buy-in and engagement from stakeholders including the city council, California Department of Transportation, local law enforcement, and interested business leaders. 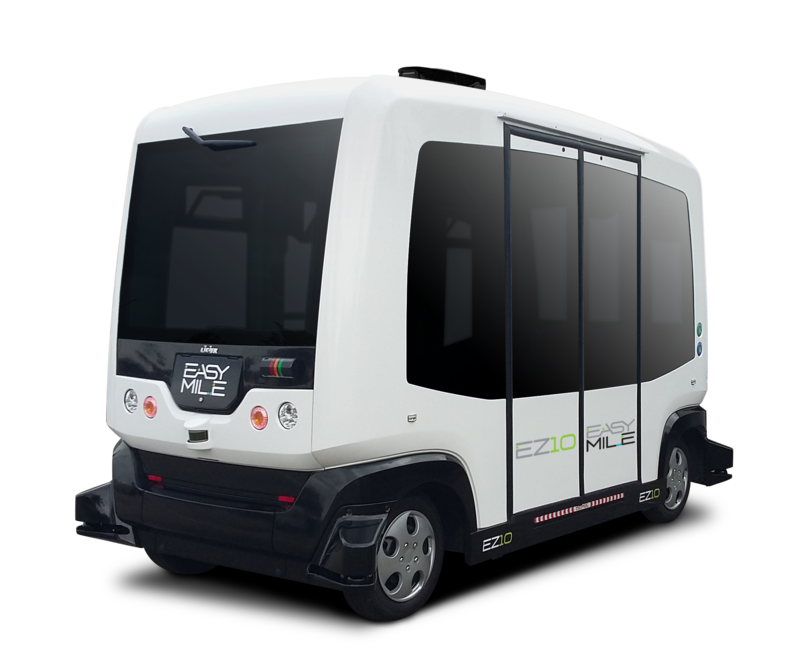 The CCTA project will bring the nation’s first autonomous shuttles to public roads in the coming months when two EasyMile EZ10s begin transporting passengers within and around the Bishop Ranch office park in San Ramon. The two driverless were purchased by Sunset Development Company for $500,000. The Arlington pilot presents another approach entirely. The city itself is accepting the full financial responsibility of leasing two EZ10 shuttles from EasyMile for six months for a little more than $270,000. While is a step in Arlington’s gradual turnaround from being the nation’s largest city without a comprehensive public transportation system, it should be viewed more as an investment in the exploration of autonomous vehicle technology than a groundbreaking mobility solution. Out of curiosity, Eno’s Paul Lewis did a back-of-the-envelope calculation of how much it would cost Arlington to lease and operate two passenger vans with similar capacity instead of funding the EasyMile pilot project. If the city opted for two Ford Transit 15 passenger vans at $500 month for 6 months, it would pay a total of $6,000 for the lease. To operate the vans, the city would need to employ five drivers. They would cover two 8-hour shifts (assuming that the shuttle will operate 16 hours a day), plus one extra for weekends and other gaps in coverage. Drivers could be paid an equivalent salary of $40,000 per year, which includes payroll taxes and some healthcare. This comes out to $100,000 over the course of six months. We will assume that the vans get 10 miles per gallon while operating at an average of 10 miles per hour for 16 hours every day. If gas is $2.50/gallon, then the city would pay a total of $7,320 for six months of gas. That brings our total cost to $113,000 – less than half of what it costs to lease EasyMile’s driverless shuttles at $272,000 for six months, should the city decide not to renew. Indeed, one could double labor costs and pay drivers $80,000 per year in PC&B instead of $40,000 per year – and the costs of leased shuttles with human drivers would still be more than 20 percent lower than the AV shuttles. So, if Arlington opts for the full twelve months, it would only be a difference of about $45,500 versus about $158,800 for six months. Certainly this is not yet the low-cost mobility solution that advocates of autonomous vehicle have been predicting. 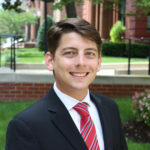 But the technology is still years from maturity, and pilot programs present an opportunity to nudge communities like Arlington towards increasing their mobility options for residents. While tech should never be a cop-out for insufficient mobility options, its ability to convince policymakers and the public to reconsider their transportation options should not be underestimated. CORRECTION 4/17/2017 9:45am: This article has been updated to reflect that the City of Arlington’s contract with EasyMile includes a six month option to renew, amounting to a full year. ETW has added an additional table with the side-by-side comparison of shuttle costs if Arlington leases the EasyMile shuttle for one year.